Today was another great day of seeing new animals and learning more about life in Africa. It seemed like the graceful impalas were everywhere. 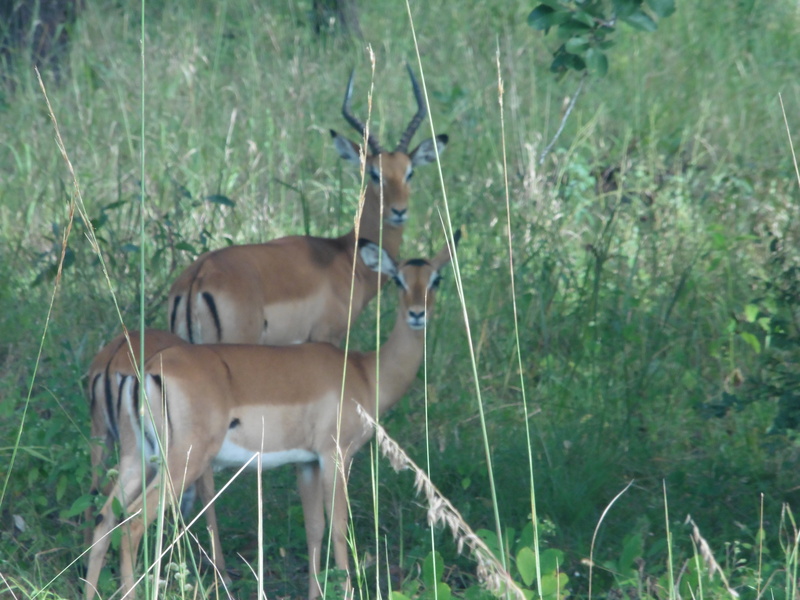 Impalas in shows like Wild Kingdom always seemed to be leaping along, but today they stood still for us. 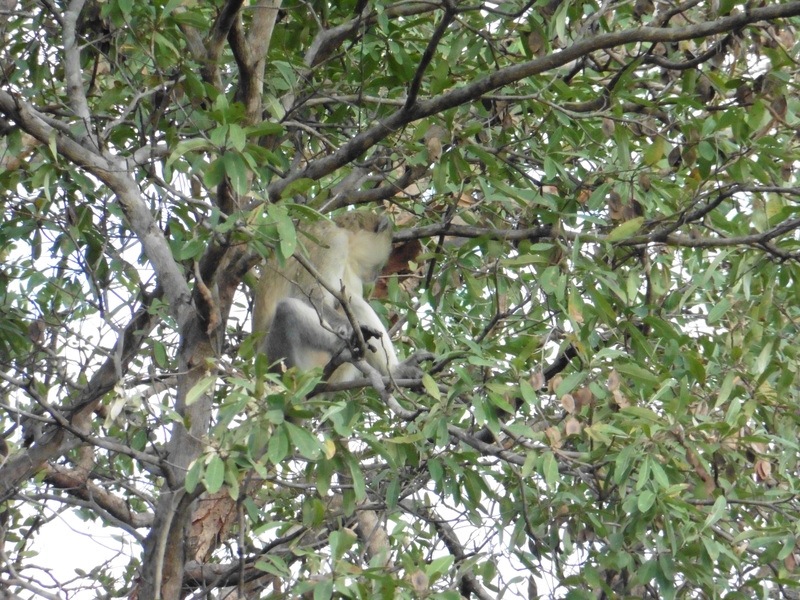 We came upon a tree full of vervet monkeys playing and grooming each other. 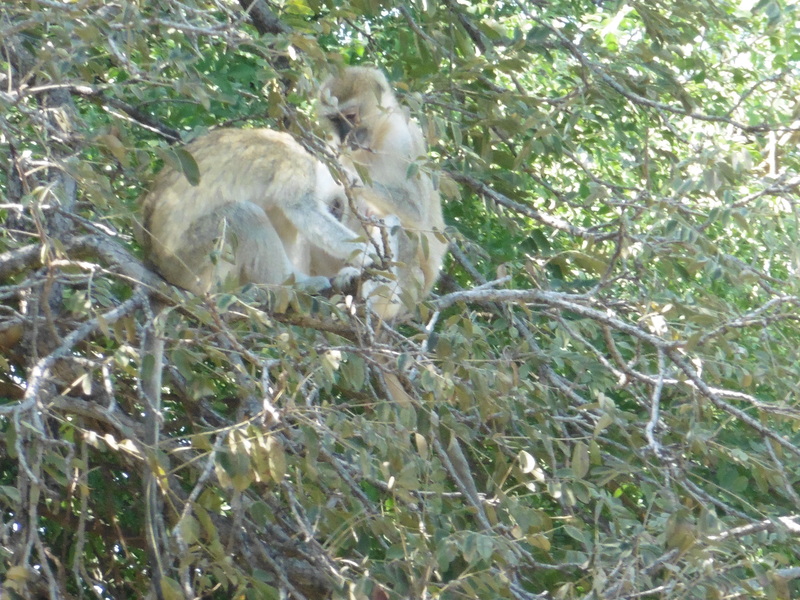 The more we looked, the more monkeys we saw. 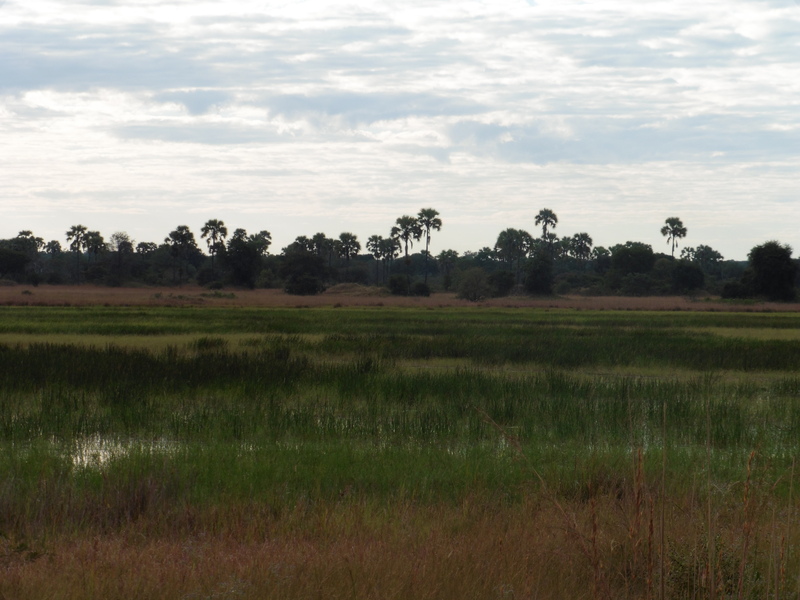 This is tsetse fly territory. The good news is they aren’t transmitting disease right now. The bad news is their bite hurts and itches for days afterwards. 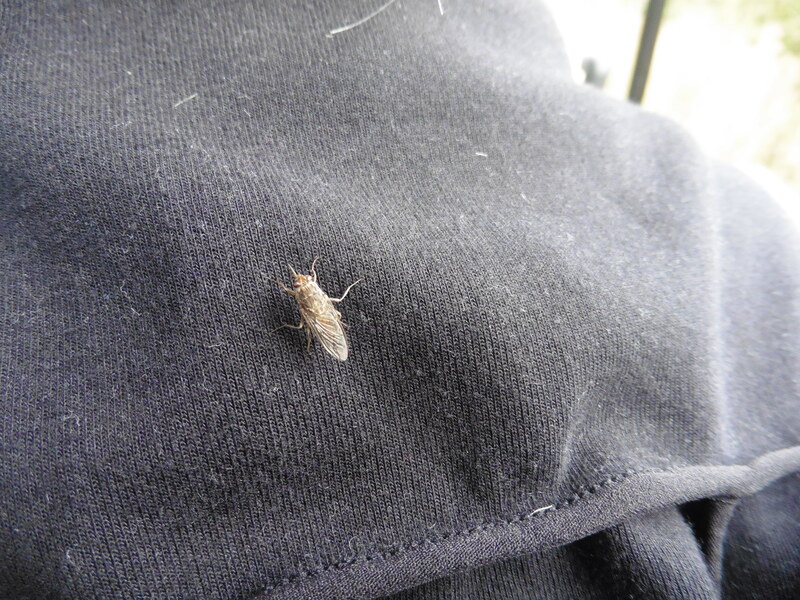 I had an up-close view of one when it landed on the black (an appealing color to tsetse flies) hood liner on the woman sitting right in front of me. 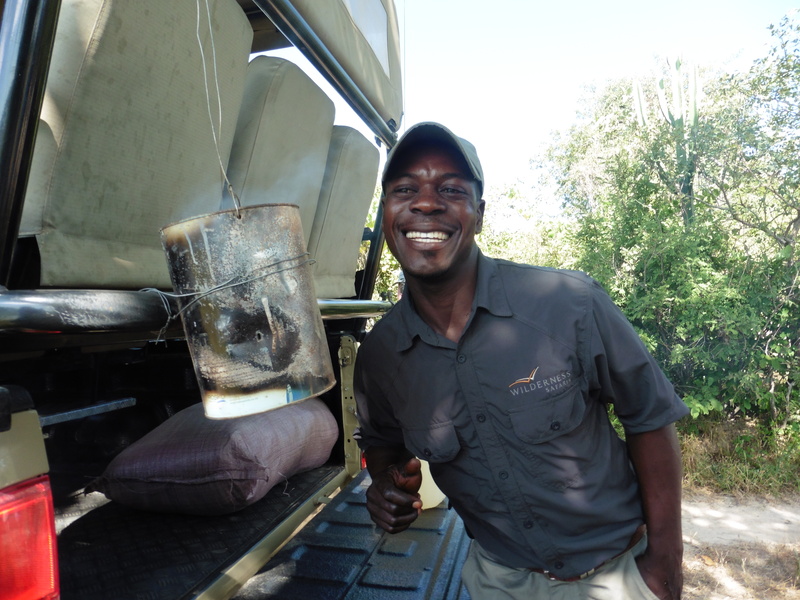 The Zambians have an ingenious way to repel tsetse flies-they burn elephant dung and the smoke drives them away. A little can of burning dung hung on the back of our vehicle and really did seem to keep the flies away. 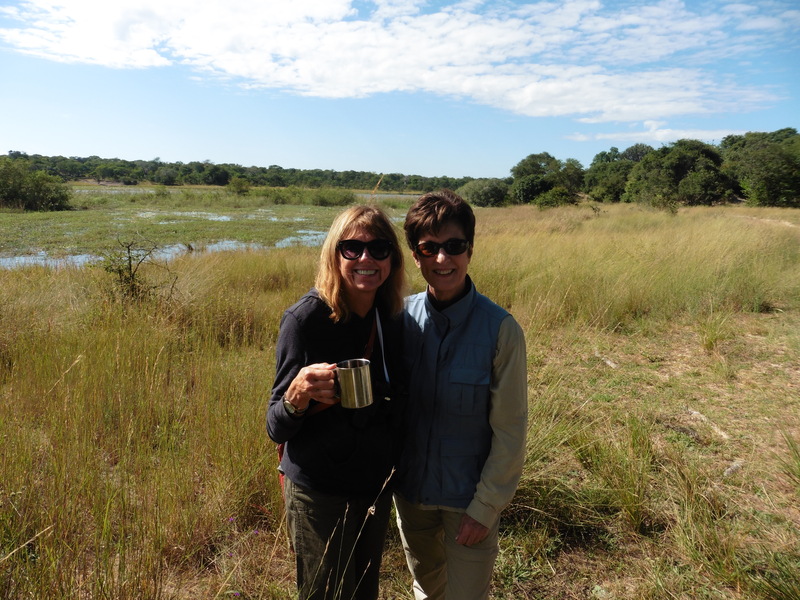 Halfway through our morning safari we stopped in the bush for tea and cookies. 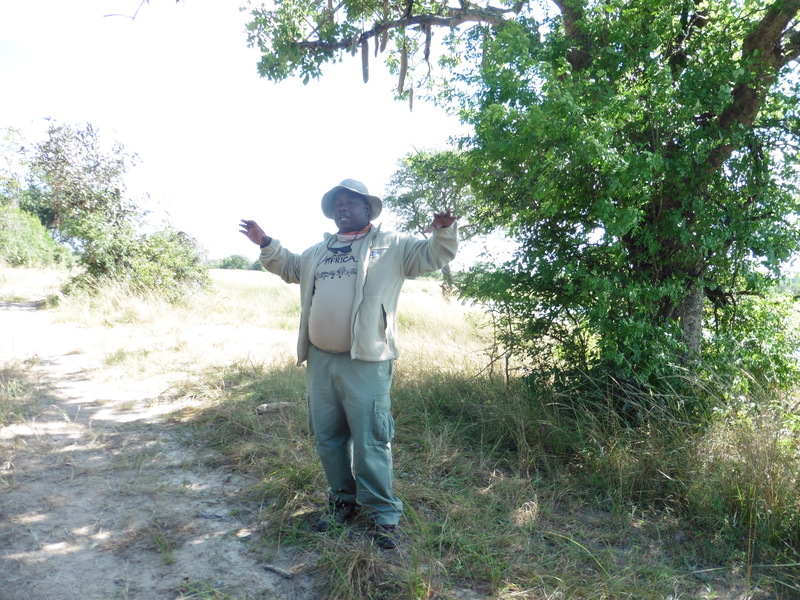 While we were having tea in the bush Phanuel told us us the story of Cecile the collared lion who had been shot by an American hunter. Earlier we had passed the guide’s reserve. The guide had used a dead impala to lure Cecile out of the park where it would have been illegal to hunt for lions. The story was big news in both the US and Africa. We learned about some of the trees and bushes that are used for medicinal purposes. 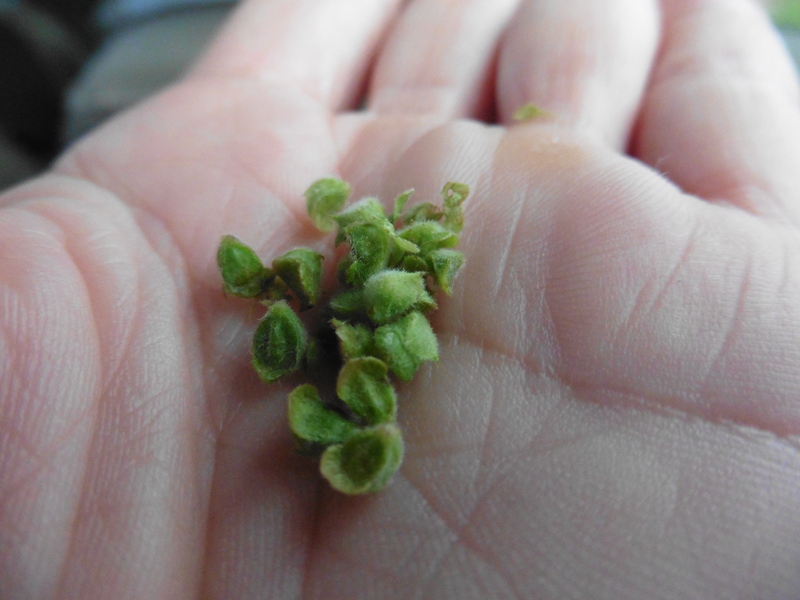 People in the villages rely on these natural remedies more than drugs and clinics. After lunch Phanuel gave a talk about HIV/aids in Africa. It was so encouraging to hear that attitudes were changing and treatment was more available. 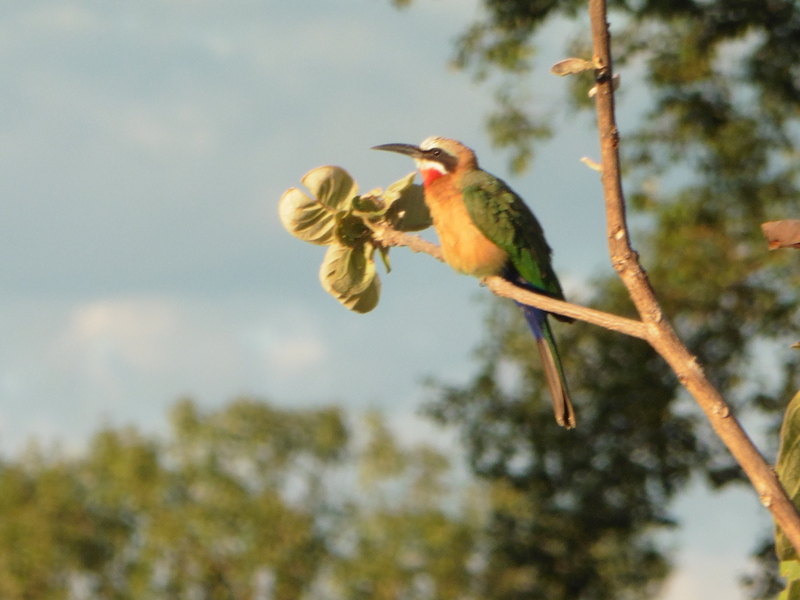 After a little afternoon break, we learned more about Zambia and then went for a late afternoon safari. 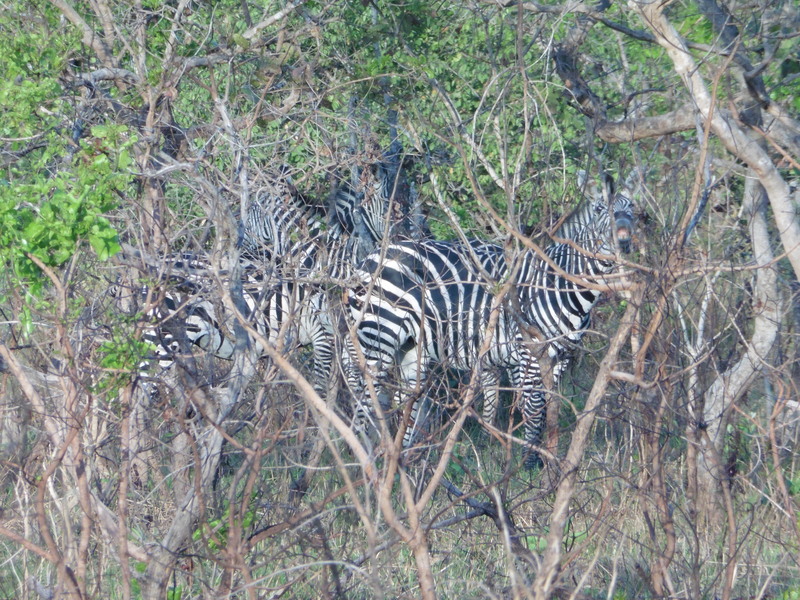 I got a better view of the zebras and saw many colorful birds. 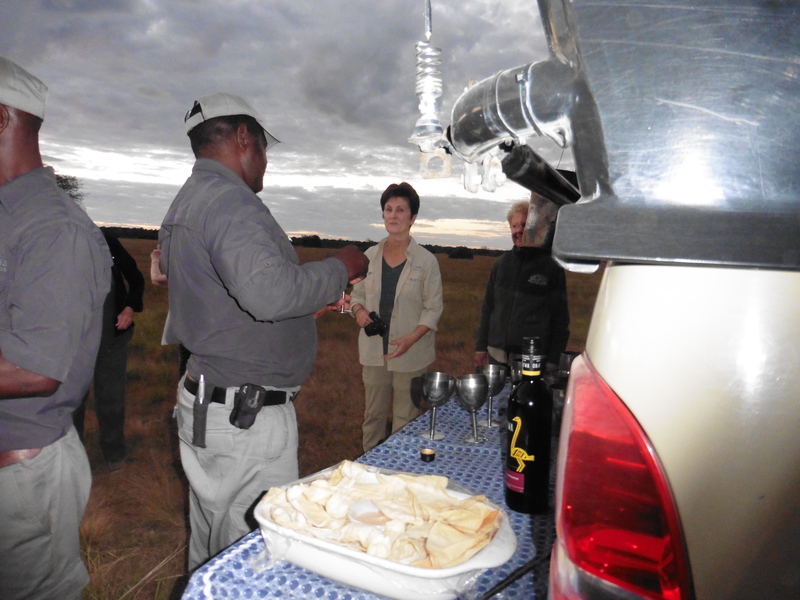 Our “sundowner” (African happy hour) was in the bush. 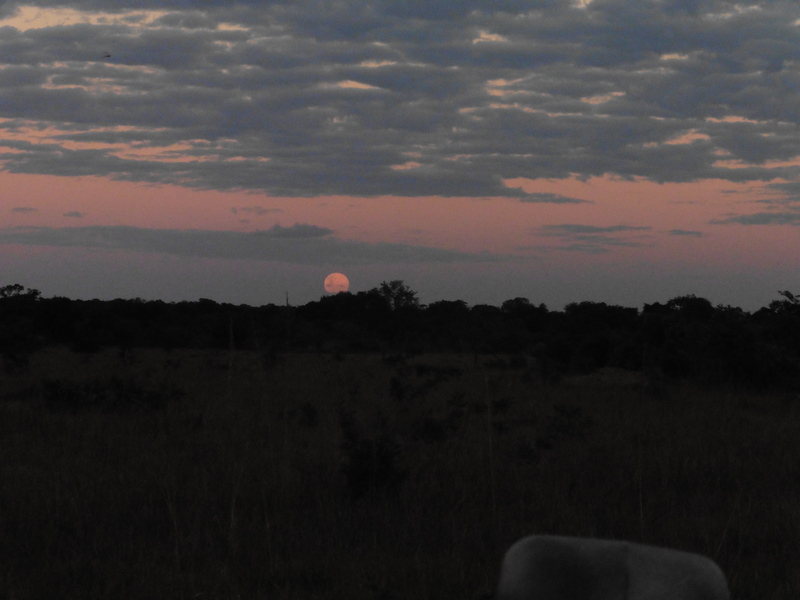 It truly was another “African moment”, drinking wine in the middle of the bush with a beautiful sunset in the west and a full moon rising in the east. Driving back in the dark, we were close to seeing a leopard. The signs were all there- a group of impalas gathered in a circle standing guard, leopard tracks heading toward the impalas and fresh leopard dung near them. Although our guide was pretty certain the leopard was close, we never saw him. This entry was posted in Africa 2018 on April 29, 2018 by debbie.